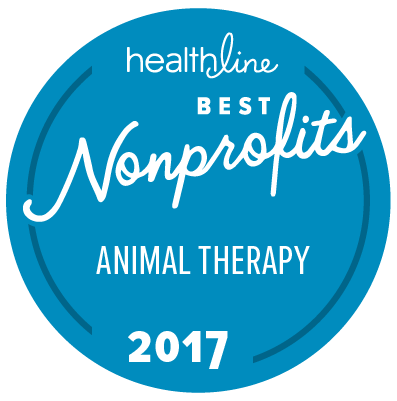 At HABRI, we’re working to gather and fund the science that proves companion animals are good for our health. With solid science, we can make sure that more people get the help they need – animals that help support heart health; prevent depression; and address the symptoms of PTSD, autism and more. But we can't do it alone. Your involvement is essential to helping us fund vital research, raise awareness of scientific findings, and support pet-friendly legislation. Every year, HABRI funds research projects that advance our understanding of the relationships between humans and animals and the mutual benefits that come with them. Your donations help us fund crucial research and the life-changing results they provide. Do you represent an organization interested in supporting HABRI? Your organization can work with HABRI to advance scientific research on the power of the human-animal bond. Members of the American Veterinary Distributors Association (AVDA) work every day to preserve the human-animal bond by distributing high-quality products that keep animals healthy. By supporting HABRI, AVDA’s members can proudly say that they are committed to establishing the vital role of our pets to the health of individuals, families and communities. We want as many people, families and communities to benefit from the health benefits that pets provide. You can help us promote the power of the human-animal bond by supporting pet-friendly policies, urging your respresentatives to support legislation that promotes the human-animal bond, or simply by talking to your doctor or veterinarian about the benefits of the human-animal bond. You can make a difference by supporting pet-friendly policies in your community. Opt-in to receive action alerts from Pet Partners. Share your story and use your voice to expand access to the human-animal bond and gain a seat at the policy making table. You can also support HABRI by keeping in touch with us. By signing up for our weekly newsletter or following us on social media, we will make sure you stay up to date with the latest news and information about our efforts and about the human-animal bond. Looking for tips and pointers on how to be a more responsible, knowledgeable pet owner? Want to learn more about pet nutrition, pet therapy or pet-proofing your home? You’ve come to the right place. Visit the Helpful Links section for resources on these topics and more!